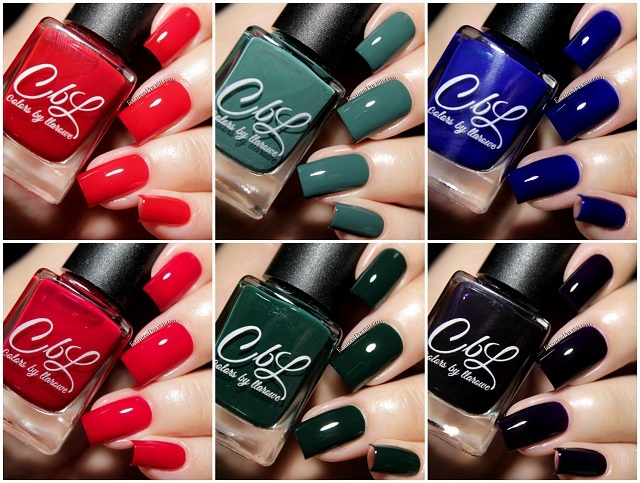 Fashion Polish: Colors by Llarowe Winter jellies/crellies swatches and review! 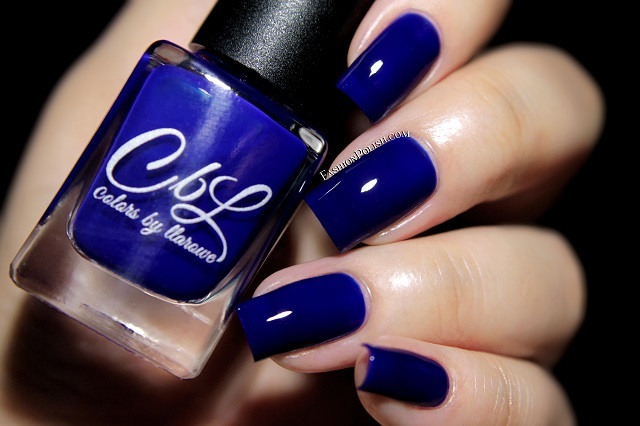 Colors by Llarowe Winter jellies/crellies swatches and review! I'm back today with swatches of the Colors by Llarowe Winter jellies/crellies! As you might know, these constitute the second part of the CbL Winter collection (first reviewed here). These were all smooth, self-leveling and easy to apply formula-wise. I used 2 coats plus topcoat in all of my swatches below but as you can see, some still showed a little bit of VNL (visible nail line). Devilish is a bright red jelly. Red-y or Not is a deeper red crelly. Camo is a greyed out green crelly. 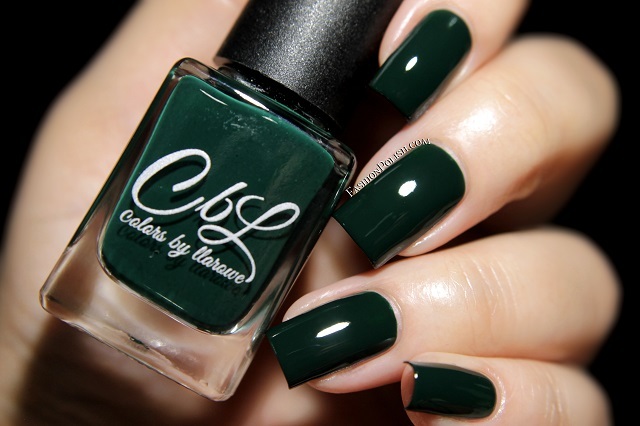 Emerald Isle is a deep emerald green crelly. Regal is a royal blue jelly. Violet Haze is a vamp purple jelly. The Colors by Llarowe Winter 2015 collection is being restocked this Thursday December 10th on llarowe.com. The Winter jellies/crellies retail for $6 each.